Glassware breaking is a common household occurrence whether or not you’re washing the dishes. Were you washing dishes the other day and accidentally dropped that fragile plate that was handed down to you by your grandmother? Glassware breaking is a common household occurrence whether or not you’re washing the dishes. 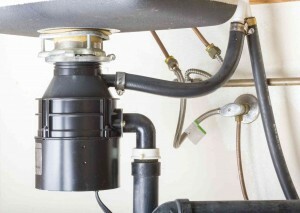 While your sink can take it, your garbage disposal probably can’t. So, if you’re unsure of what to do, just follow these handy tips for getting the broken glass out. First of all, switch off the power supply to the garbage disposal. There is a switch on or near the disposal itself. However, you also want to play it as safe as possible. In that case, find the circuit breaker that leads to the disposal, and turn it off for now. Just remember to turn it back on once you’re done! You’ve always heard not to try and pick up shards of glass with your bare hands. This bit of conventional wisdom is just as true for plucking glass out of your garbage disposal as it is for picking up stray pieces from the ground. Luckily, there is an easier solution. Just use a tool such as needle nose pliers to extract the glass. Most of the glass that you’re looking for should be near the top, making it easier to find them. If you’ve got an industrial strength vacuum, use it! The pliers won’t be able to grab every piece, so you should use the vacuum to gather the remaining bits. Again, this solution is another way to avoid using your hands to nab the glass – even if you put on gloves, you can still cut yourself on a sharp edge. Some of the glass may be hiding beneath the blades of the disposal unit. But since there’s no flow of electricity, you should be able to move them by hand and retrieve the last few shards. Once you’re done, all you need to do is turn the power back on and everything should be fine! This entry was posted on Friday, October 20th, 2017 at 1:15 pm. Both comments and pings are currently closed.